Remarks: Renovated! with new: kitchen cabinets, SS appliances, loaded w/ recessed lights, refinished hardwd flring, new baths, all new plumbing fixtures, whole house standby generator, granite counter tops, ceramic tile bathrooms. Fresh paint inside & out. ML FR off Kit. plus home office w/ private entrance. DuraCeramic Tile in Kitchen/Breakfast Rm. Covered deck. 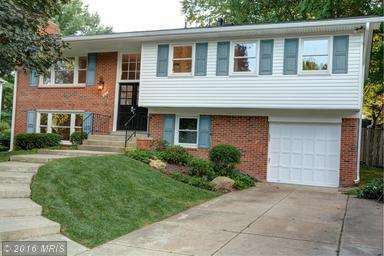 Walking distance to Spring Hill Metro. Directions: From Tysons take 123 South, Right on Old Courthouse Rd, Left on Old Courthouse Rd, Right on Irvin, Right on Higdon, Right on Palm Springs, Left on Skokie.